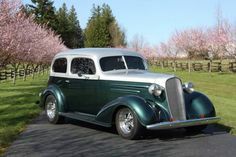 1937 CHEVROLET SEDAN 4 DR. NEEDS COMPLETE RESTORATION. WOULD BE GREAT RAT ROD PROJECT! OR RESTORATION PROJECT! ALL PICTURES I HAVE ARE POSTED IN THIS AD. THIS CAR HAS RUST LIKE MOST EIGHTY YEAR OLD BARN FIND CARS!! IF YOU ARE WANTING A RUST FREE EASY FIXER UPPER THIS IS NOT THE CAR FOR YOU! NEEDS LOTS ON TENDER LOVING CARE! THANKS! REMEMBER THIS CAR IS EIGHTY YEARS OLD.